The holiday season serves as a reminder that Orbital ATK employees live our corporate values, supporting our country, America's servicemen and women and the local communities where we live and work. This year company employees gave generously to help make the holidays special in their communities. Just a few examples are below:. 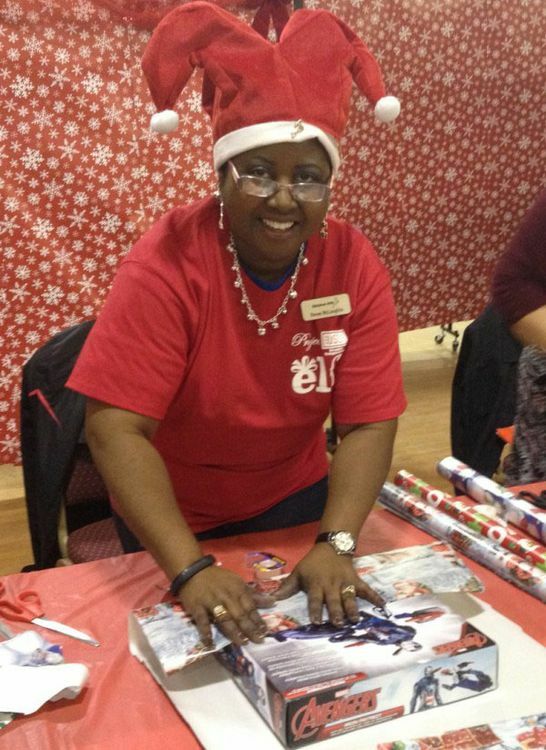 Orbital ATK employees played Santa for 30 children as part of the USO’s annual Project Elf, fulfilling the wish lists of children of junior enlisted service members stationed at Fort Meade in Maryland and Fort Belvoir in Virginia. Employees from the Defense Systems Group office in Baltimore, Maryland, Washington Operations in Arlington, Virginia and the Corporate Office in Dulles, Virginia, participated in Project Elf, selecting wish lists and purchasing gifts for the children, including games, toys, new bicycles, and clothing. On December 10, volunteers from Orbital ATK helped ring in the holiday season by helping wrap and distribute gifts for the families at Fort Meade. Throughout the afternoon, men and women in uniform and their families stopped by the distribution center on base, picking up presents for their children and thanking volunteers for their efforts. A few children even tried to peek before their gifts were wrapped. Each year our employees report that they benefit as much from the effort of giving as the children do from the receiving the gifts. Participation in Project Elf is just one way that Orbital ATK honors the service of our men and women in the armed forces, and serves as a reminder of our enduring gratitude for their continued courage and sacrifice. 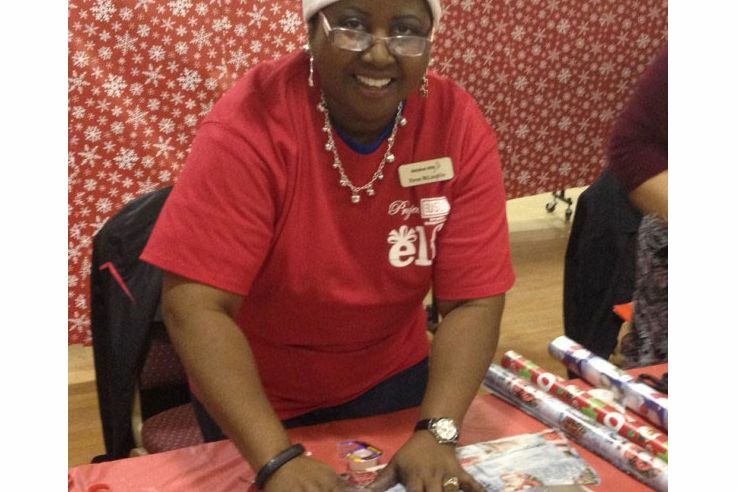 Orbital ATK’s own holiday elf, Renée McLaughlin of the Baltimore office, volunteered at Fort Meade where she helped wrap packages and distribute gifts. Because of the generosity of employees at the Dulles campus, the holidays will be a little brighter for children of families in need. Employees snapped up all 110 gift tags distributed by the Salvation Army for the Angel Tree program, a holiday assistance program in which sponsors purchase new clothing and toys for area children. 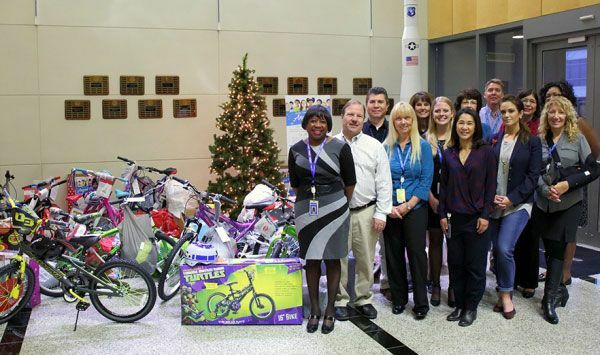 Dulles employees purchased a total of 500 presents for the children, including several bicycles. For many of these children, the gifts provided through Angel Tree are the only gifts they will receive during the holidays. Some of our Dulles employees who donated gifts to the Angel Tree program. In Arizona, the company's Launch Vehicles Division supported the Salvation Army Christmas Angel program, giving a total of 90 gifts. 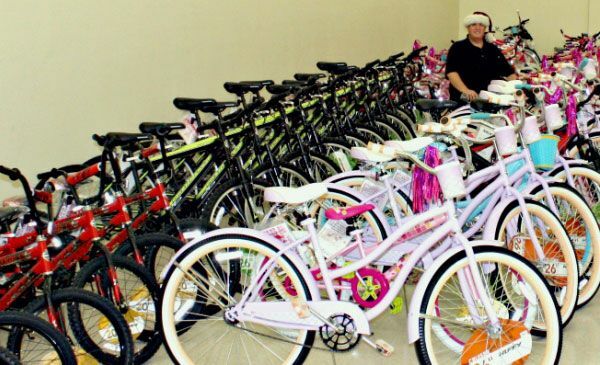 Employees further donated more than $10,000 to buy 128 bikes and helmets for local children in need. In Utah, Orbital ATK’s Propulsion Systems Division doubled down on their 250-turkey Thanksgiving donation and donated $500 to the Box Elder Food Pantry and $500 the Acts Six Soup Kitchen in Brigham City, helping ensure those in need are able to get a warm meal this holiday season. In addition, the company's Aerospace Structures Division will soon complete a clothing drive.